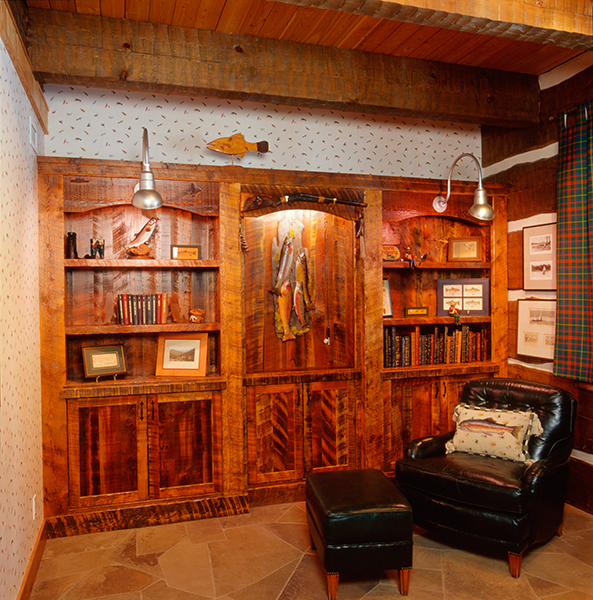 As it stands today, the home is a celebration of log tradition, elegant craftsmanship, and spectacularly creative design elements. 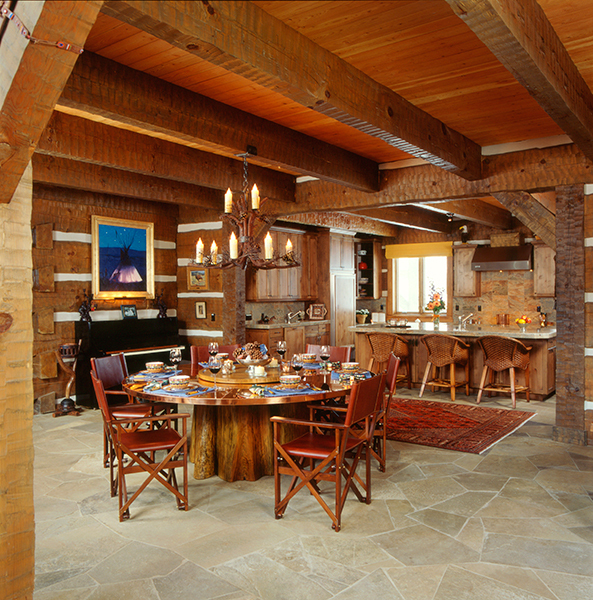 With hand-hewn, square, dovetailed logs and distinctive, thick chinking, Camp Arrowhead is a breathtaking testament to traditional log home building. 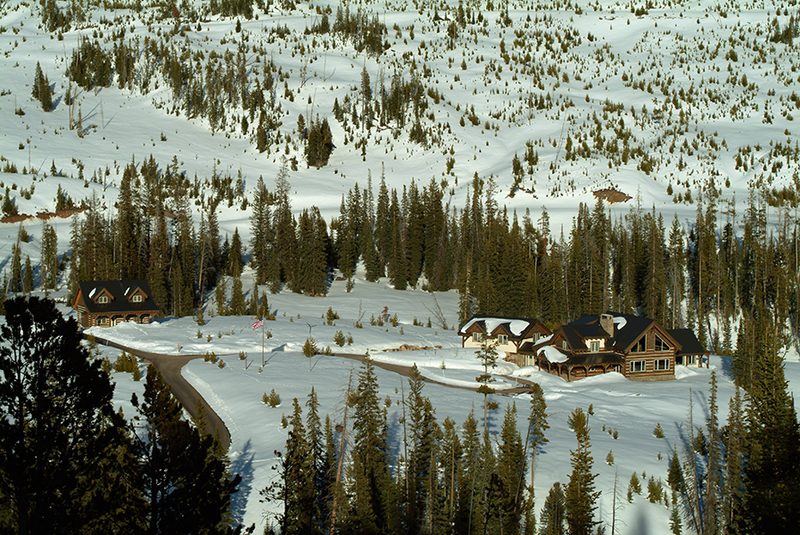 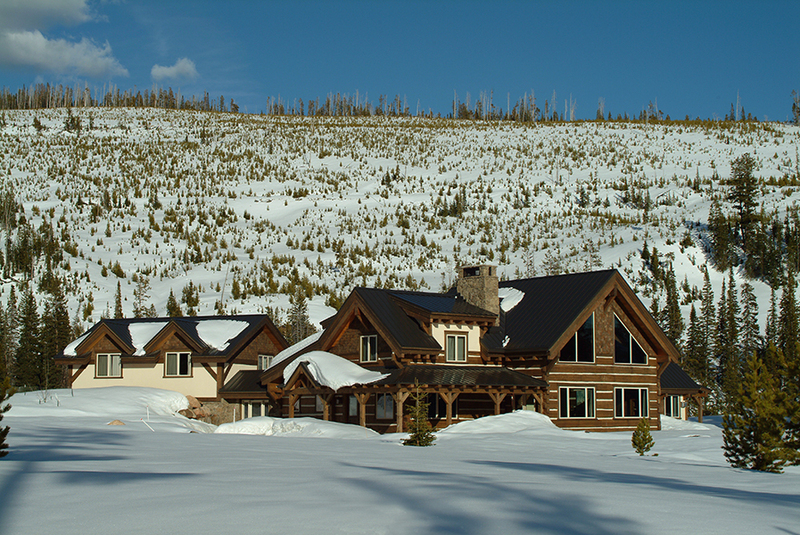 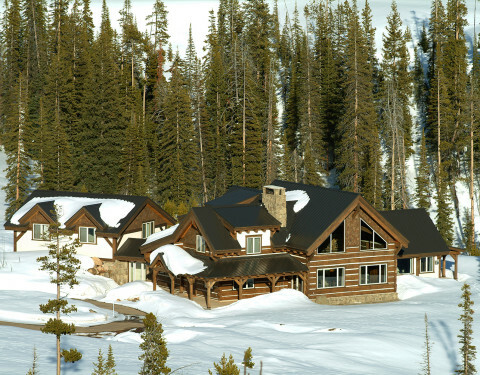 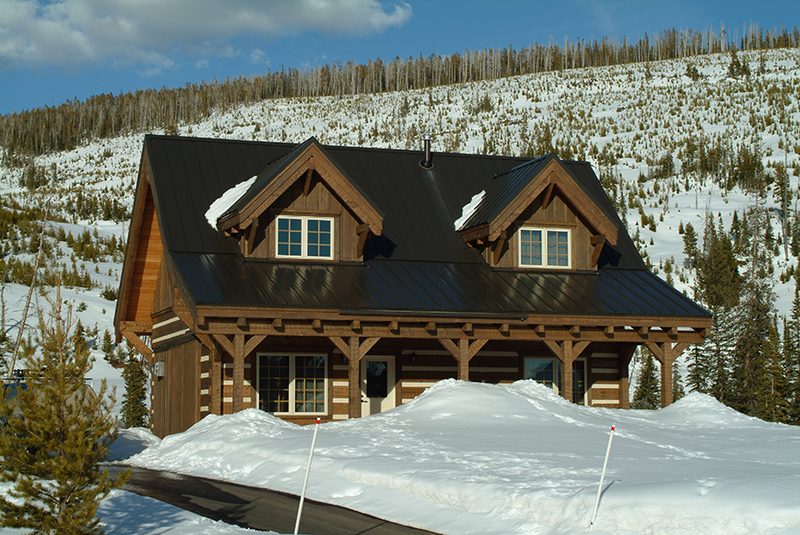 Because they had a definitive vision for their Big Sky log home, the owners decided not to use an architect but to rely, instead, on the experience and expertise of Blue Ribbon Builders. 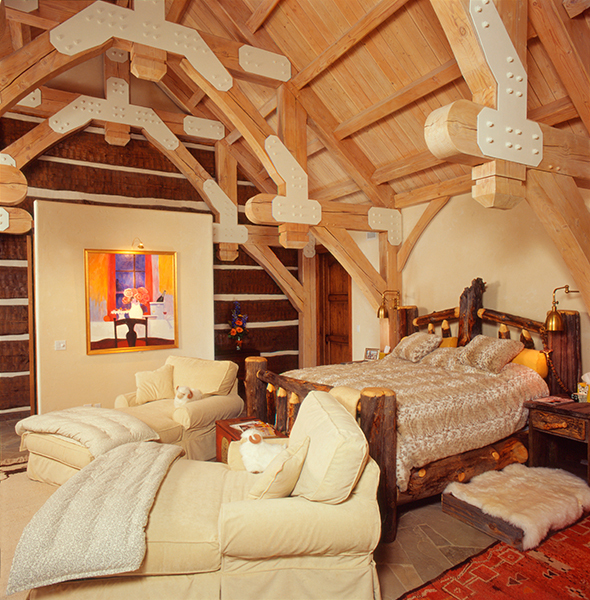 As it stands today, the home is a celebration of log tradition, elegant craftsmanship, and spectacularly creative design elements. 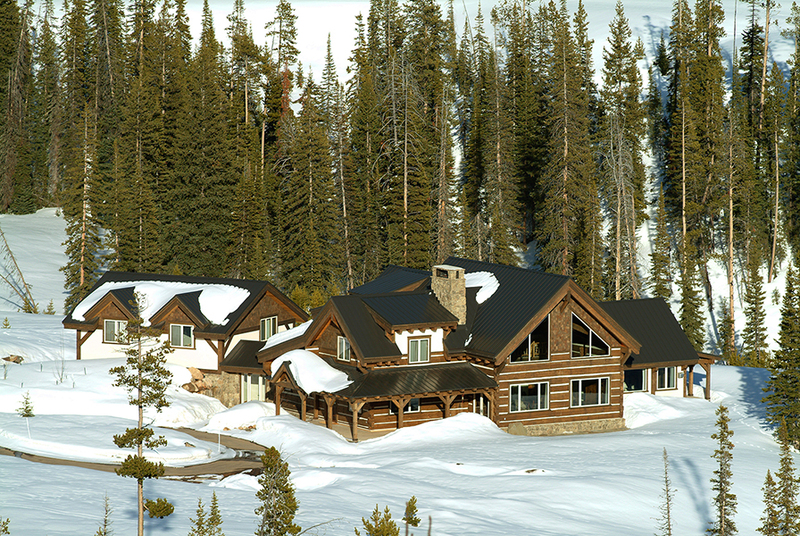 Every aspect of the Basin House—including unique arrowhead details throughout, a hidden room, and even the home’s stunningly beautiful, but tucked-away setting—was designed to create a whimsical, mountain getaway for the owners and their family. 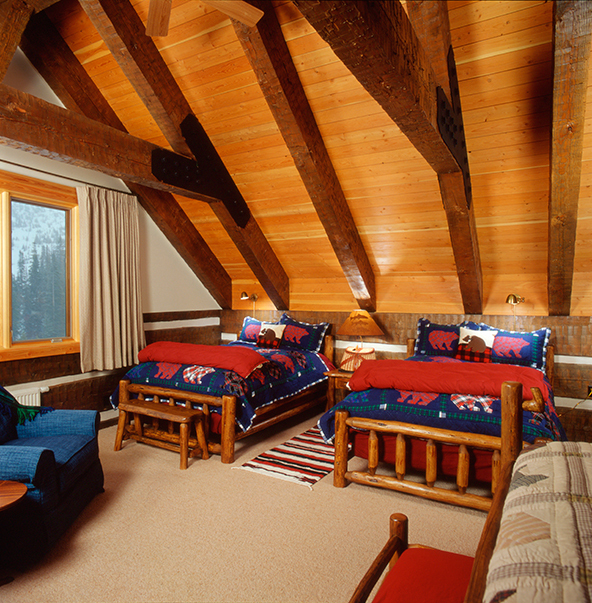 Cathedral ceilings highlight exposed timber trusses, giving the home a spacious, lodge-like feel. 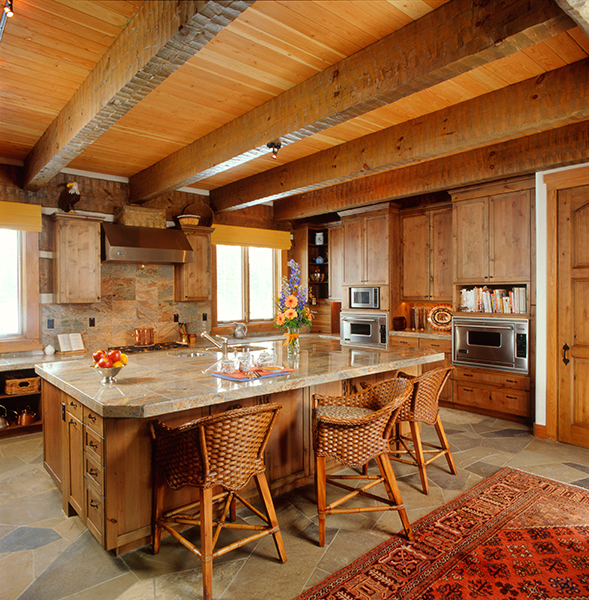 Yet even with ample space, the home feels anything but cavernous. 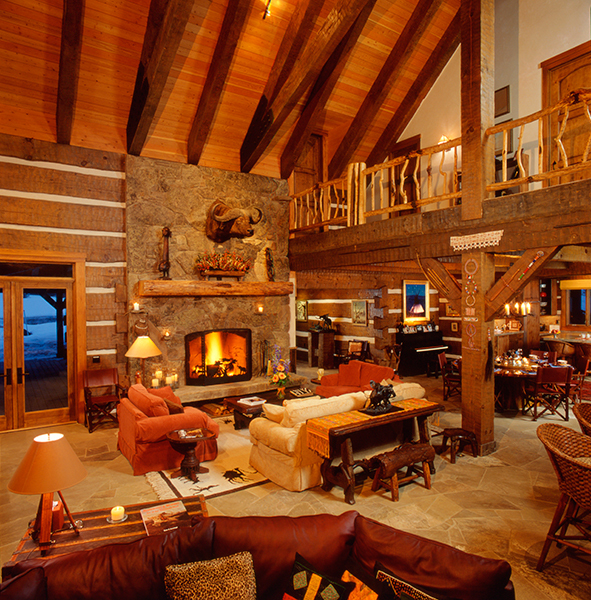 The rich coloring of the traditional square-cut logs lends a cozy warmth to the home. 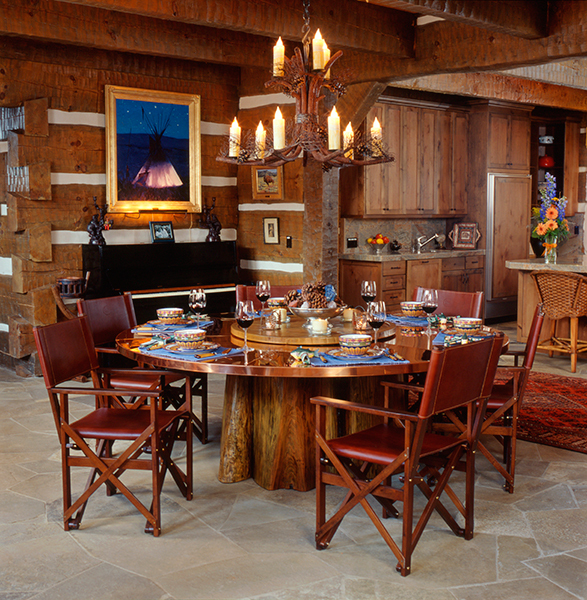 Knotty railings, a natural stone fireplace and rock floors blend perfectly to give the home an elegant and traditional look.